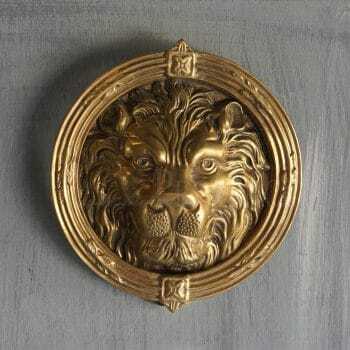 A magnificent Renaissance style door knocker in solid bronze with a lion mask, round back plate and a bronze ring. This elegant hardware derives from an antique Venetian door knocker and refinished by hand. 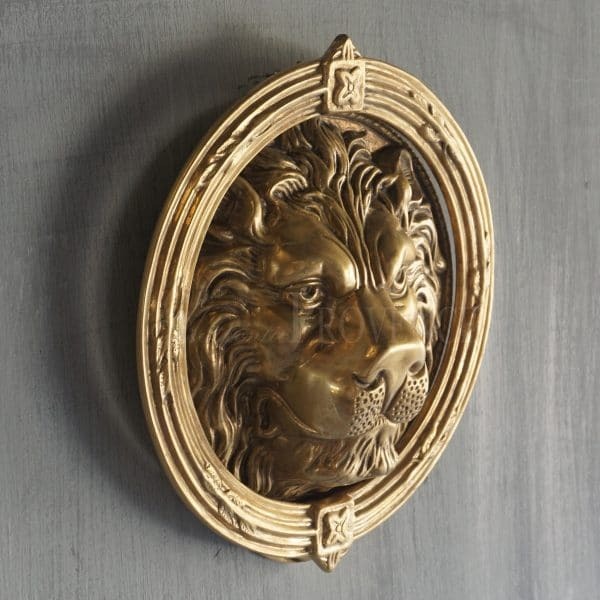 Categories: Architectural Elements, Hardware. Tags: BRONZE, DOOR KNOCKER, ITALY, LION, METAL. 9 H in. x 9 W in.